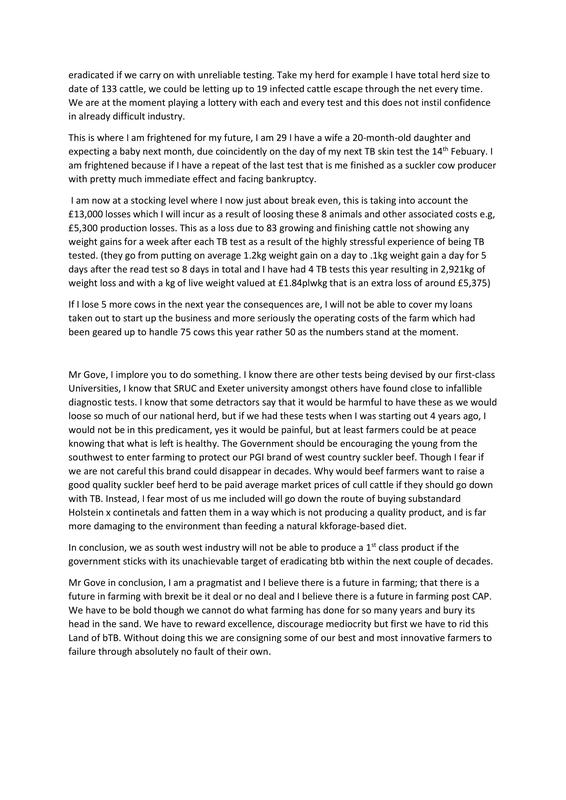 A beef farmer has told of his anguish as he faces the prospect of losing his home and his livelihood following a bovine TB outbreak. Henry Andrews set about building up his closed herd of pedigree Devon and cross breed cattle four years ago, but since November last year has been locked in a gruelling battle with the disease. The herd, which he planned to increase to 75 next year, is now down to 37 head. “I fear for my family’s future,” said Mr Andrews, whose wife has just given birth to their second child. 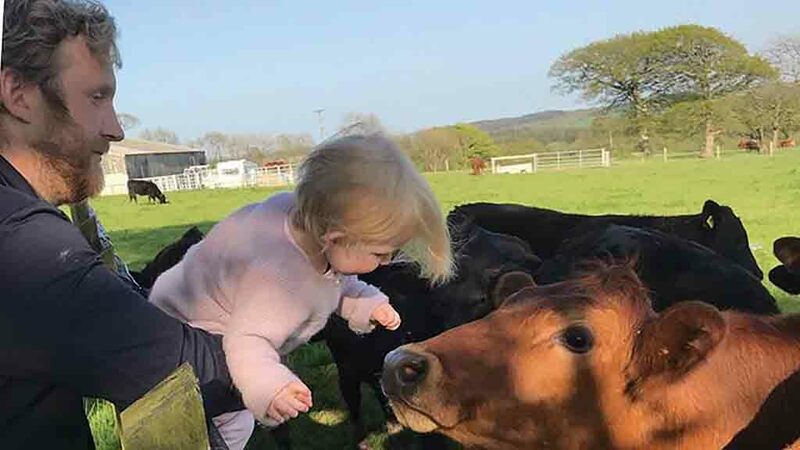 The nightmare unfolded when six in-calf heifers tested positive on a routine skin test and were immediately destroyed on-farm in Pyworthy, Devon. Just weeks later, another 10 animals tested positive on the blood test. 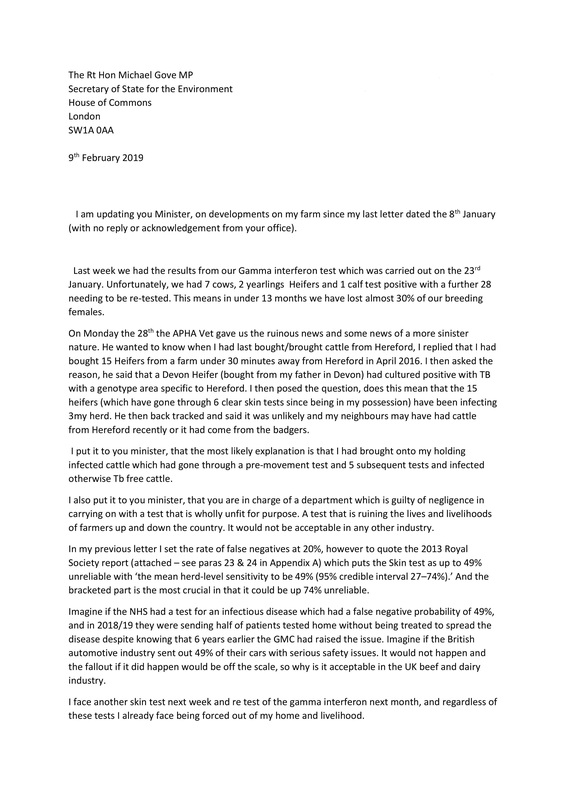 With the 29-year-old waiting nervously for 28 additional cows to be retested, he called into question Defra’s entire bTB policy, including the badger cull. “I have a closed herd, I have no nose-to-nose contact with other cattle from different holdings and I have a high level of biosecurity, with all visitors having to disinfect themselves and their transport upon entering the farm,” said Mr Andrews, who has also acted as a marksman on the badger cull in the high risk area for the last three years. 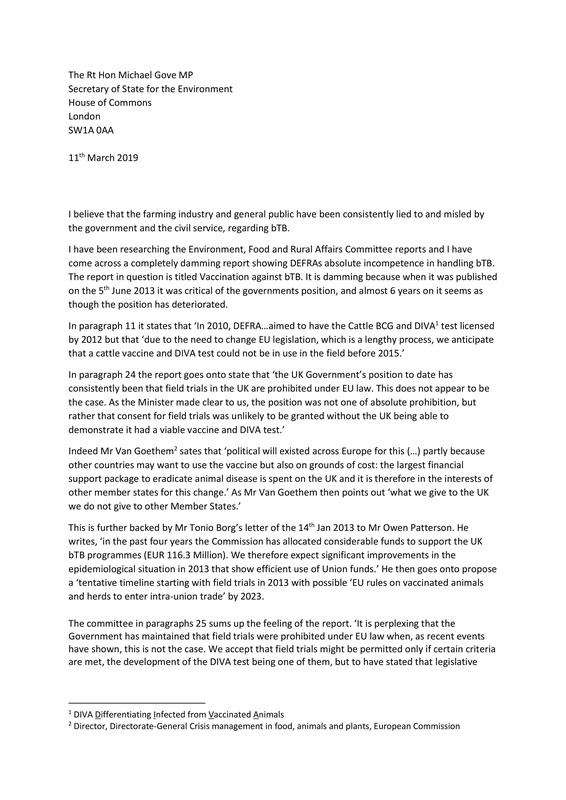 The farmer, who has been in written correspondence with Defra Secretary Michael Gove, highlighted a Royal Society report which found the skin test could be between 49-74 per cent unreliable. “Imagine if the British automotive industry sent out 49 per cent of their cars with serious safety issues,” he added. 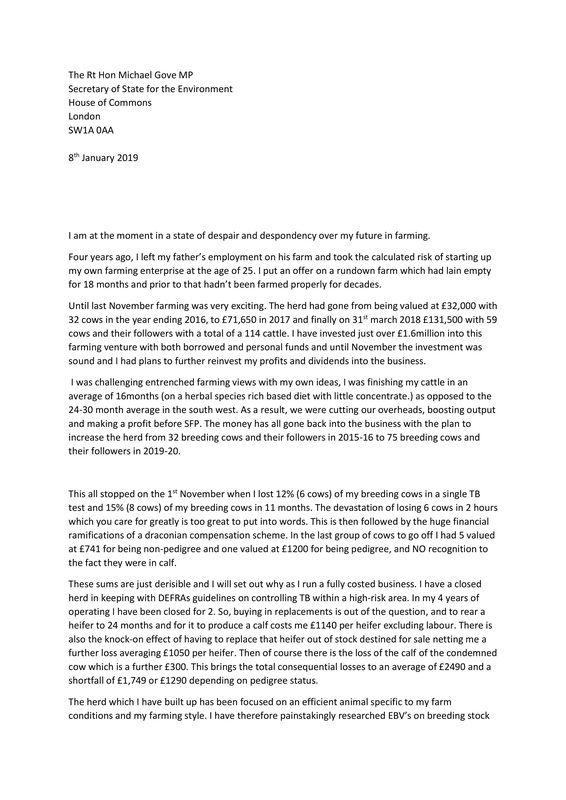 He also lashed out at Defra’s ‘draconian’ compensation regime, which he said did not take into account the true value of his animals and their unborn calves. 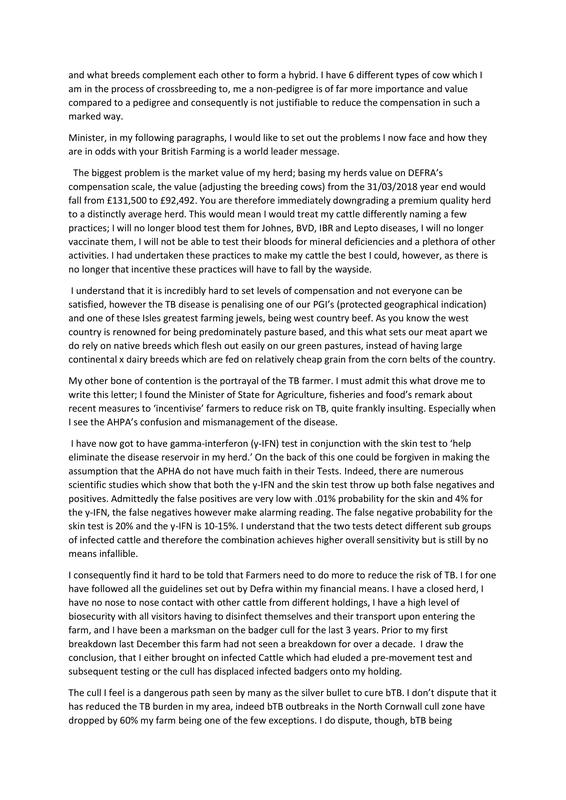 “I have built up the herd by researching estimated breeding values and what breeds complement each other to form a hybrid,” added Mr Andrews. 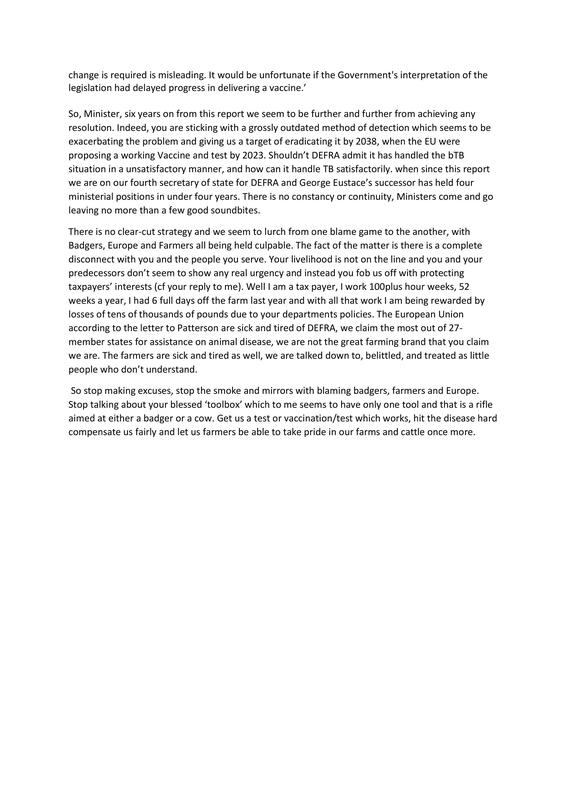 A Defra spokesperson said: “Bovine TB remains one of the greatest animal health threats to the UK, causing devastation for hard-working farmers and rural communities. Harrowing video footage shows the moments before five of Henry Andrews’ heavily in-calf cows were shot on his farm in Devon. The cows, which had tested positive for bTB just hours earlier, were filmed by Mr Andrews. “These are five of my cows, which are unfortunately going to have to be shot today in half an hour’s time,” Mr Andrews told the camera, before pointing out the cows which were in different stages of pregnancy. They ranged from four- to six-months in-calf. “It is an absolute travesty,” said Mr Andrews, who is calling for a cattle vaccine and Differentiating Infected from Vaccinated Animals test to be brought to market.